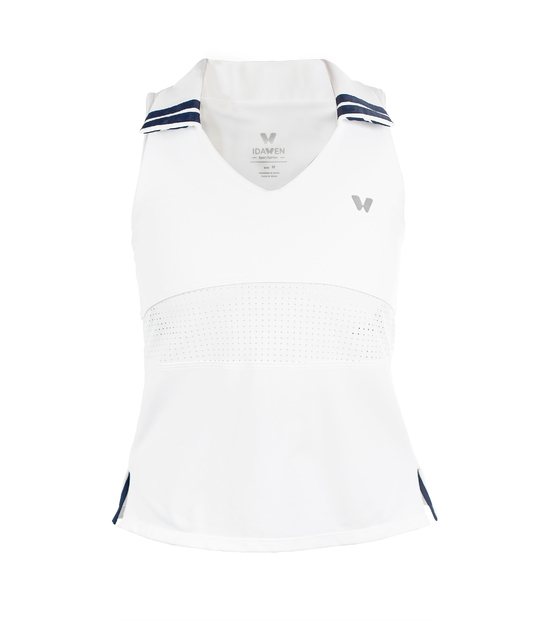 Tennis skirt or padel for woman. 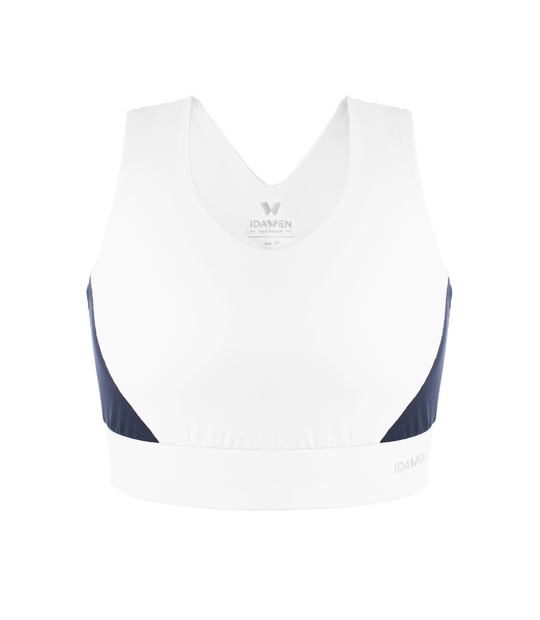 In white color with navy blue details. High waist and light weight flared. Inner short included. Tennis skirt with short included in compressor fabric. 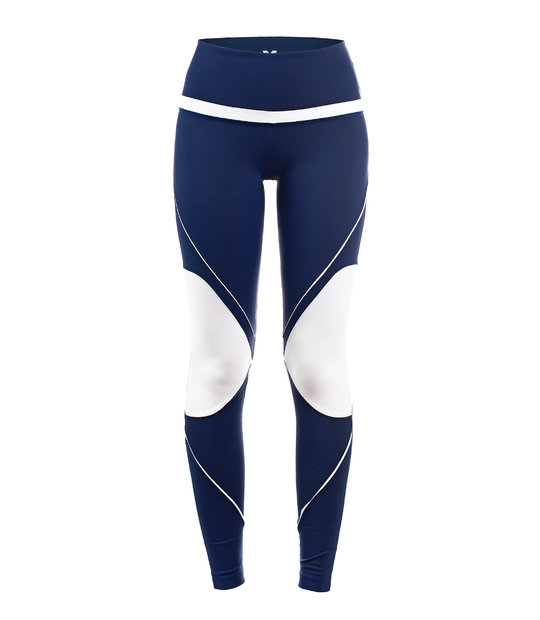 This avoid the discomfort, as the short goes up to the groin with the movements. 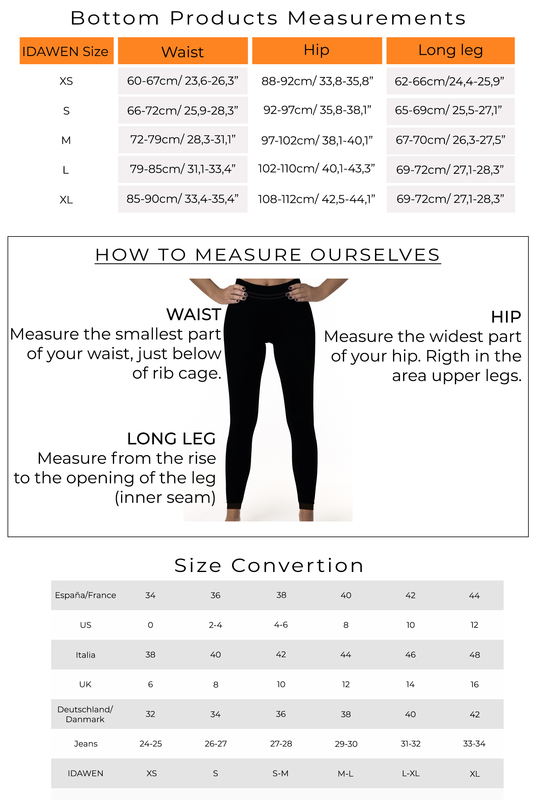 High waist, reaffirms and slighyly reduces the lower belly area. Fabrics contrast from the diagonal seam. 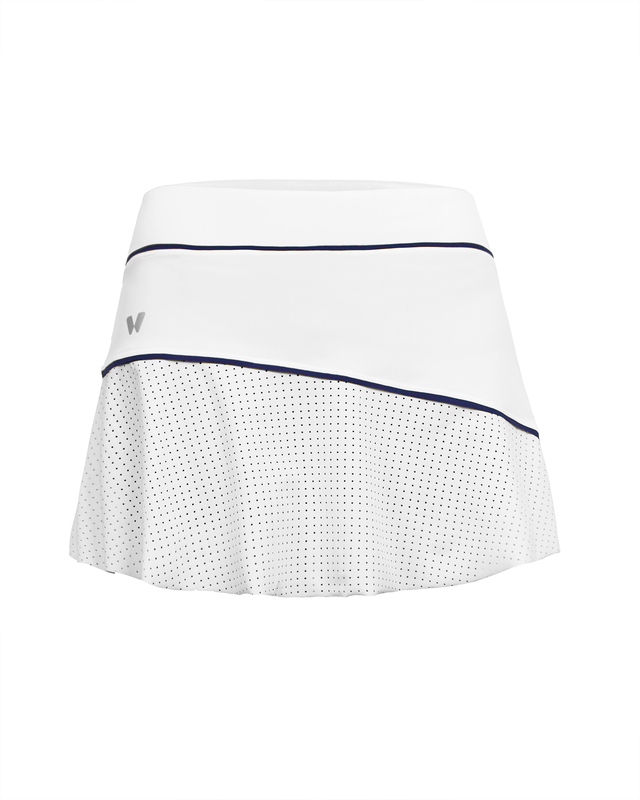 The lower part of the sport skirt, is made with a fabric with micro-perforations. 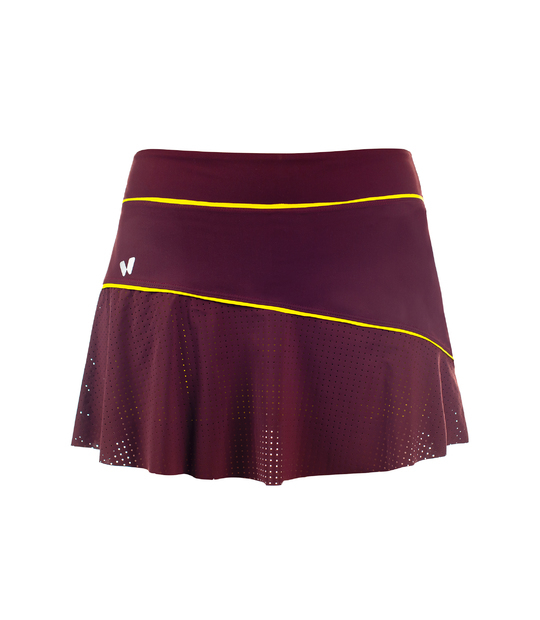 Muscle control, quick drying, 100% breathable, anti-pilling, 40UV protection, are some of the benefits of this tennis skirt. You can continue informing yourself in the "Advantages" section. 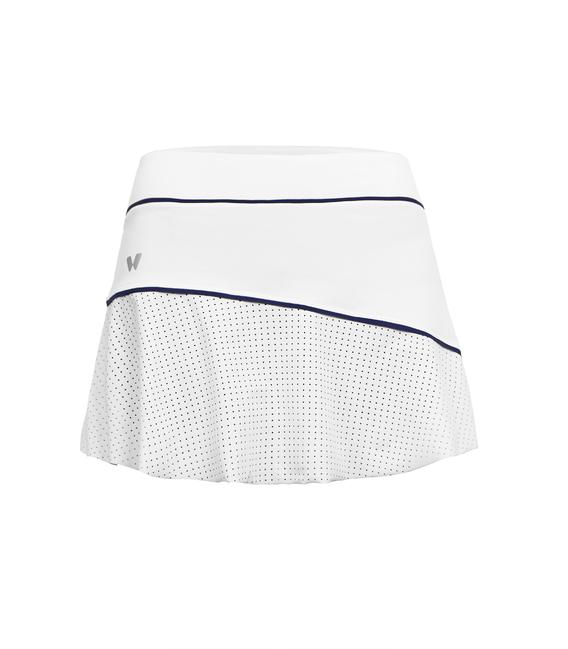 All the fabrics used in this Awen tennis skirt, are of high quality, made in Italy. They are made with recycled polyamide yarns or in Eco Friendly factories. - Slim fit until the waist. From waist to hips, slightly loose. - Model is 176 CM/69,29” and is wearing a Medium Size.